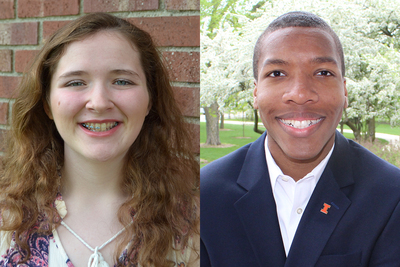 University of Illinois students Madeline Ford, left, of Henning, Illinois, and Michael Mitchell, of DeKalb, Illinois, are among 60 U.S. students selected for U.K. Summer Fulbright opportunities. CHAMPAIGN, Ill. — University of Illinois freshman Michael Mitchell, of DeKalb, Illinois, and a graduate of DeKalb High School, received a place on a Fulbright Summer Institute to study at the University of Westminster in London. 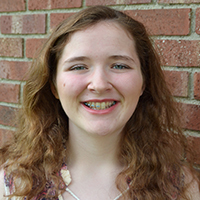 Illinois freshman Madeline Ford, of Henning, Illinois, and a graduate of Bismarck-Henning High School, was granted a U.K. Summer Fulbright award to study at the Fulbright University of Sussex Summer Institute. They are among 60 students in the U.S. to receive a U.K. Summer Fulbright placement. Mitchell will experience the U.K. on a three-week summer program. He will participate in courses, seminars, lectures and study tours around London, including studying at the University of Westminster. The program examines and challenges student approaches to intercultural competencies needed in the professional world, as well as leadership effectiveness and development. 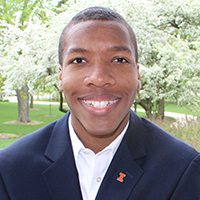 At Illinois, Mitchell is pursuing a degree in business in the Gies College of Business as a member of the business and James Scholar honors programs. He is also a Chancellors Scholar at the campus level. 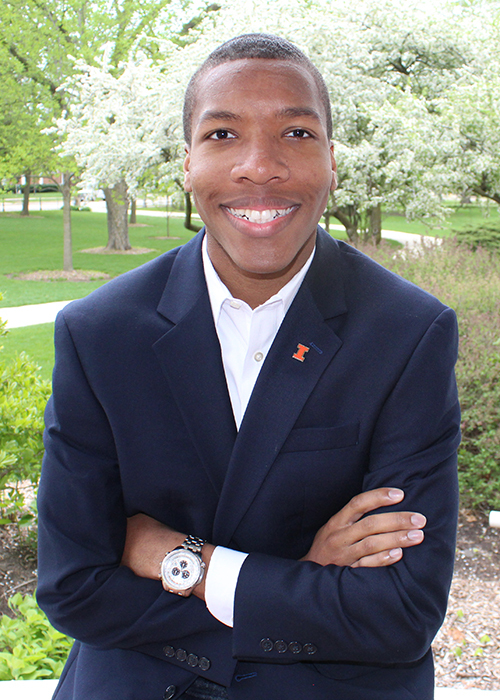 Mitchell was involved as a resident in the Honors Living and Learning Community at Illinois and as a member of Illinois Business Consulting. Ford will attend the University of Sussex Summer Institute. The program is a four-week academic and cultural program for U.S. students, focusing on studying British culture. At Sussex, Ford will study the development of British children’s literature, examining the ways in which literary representations of children and literature for children correspond to changes in our cultural understanding of childhood. At Illinois, Ford is pursuing a bachelor’s degree in painting with a minor in English creative writing. 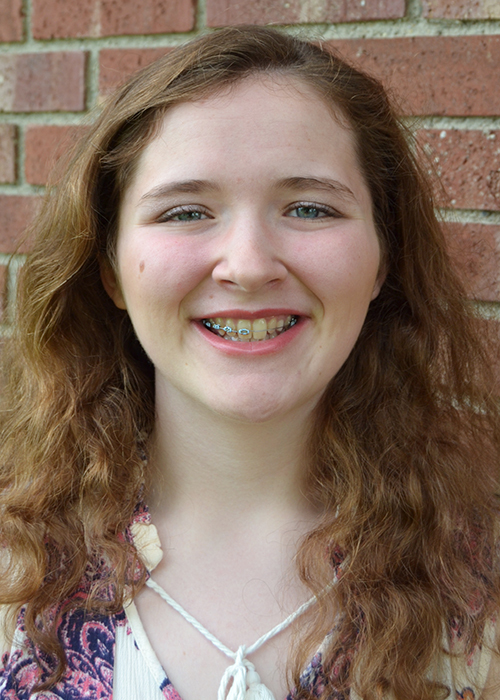 She is a James Scholar honors student in the College of Fine and Applied Arts. She hopes to use her education to write and illustrate her own children’s books. As a freshman, she served as a School of Art and Design ambassador and volunteered at the Center for Children’s Books at the School of Information Sciences. Fulbright Summer Institutes cover all participant costs and provide participants with a distinctive support and cultural education program including visa processing, a comprehensive pre-departure orientation, enrichment opportunities in country, a re-entry session and the opportunity to join the Fulbright alumni networks. The commission selects participants through a rigorous application and interview process. In making these awards, the commission looks not only for academic excellence but a focused application, a range of extracurricular and community activities, demonstrated ambassadorial skills, a desire to further the Fulbright Program and a plan to give back to the recipient’s home country upon returning. The Summer Institutes form part of the U.S.-U.K. Fulbright Commission’s work to promote leadership, learning and empathy between nations through educational exchange.